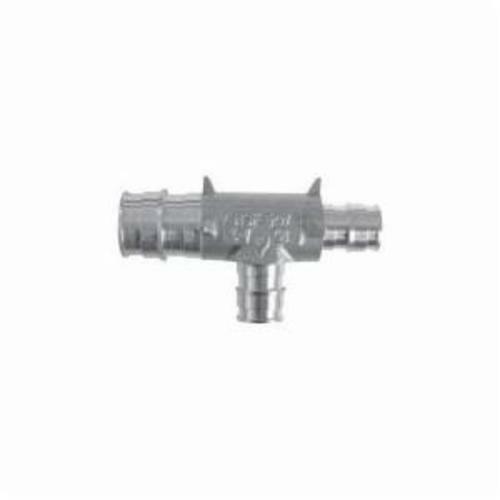 ProPEX® Brass Reducing Tee makes diverting connections for Uponor PEX tubing in supply and return mains. Available for use in hot and cold domestic potable water systems, AQUASAFE® Residential Fire Safety Systems and in any hydronic heating system. Each end of the fitting is manufactured with the ProPEX® fitting for connections to hePEX™ or any AquaPEX® tubing. Branch size is listed last in the part description.